Hello! I'm finally back after a week of traveling and an INSANE week at work. I'm sure your week has been crazy too as everyone is wrapping things up before Thanksgiving and prepping for the holiday. It's good to be back and talking about candy so let's jump right in. This week, I have a recommendation for you from Spain. About two years ago, my friend and I went to Barcelona and Ibiza. It was a super memorable trip and it yielded some unforgettable candy too. In Spain, they are big fans of the fruit and cream licorice, especially strawberry and cream. I sampled strawberry and cream licorice ALL OVER Barcelona. 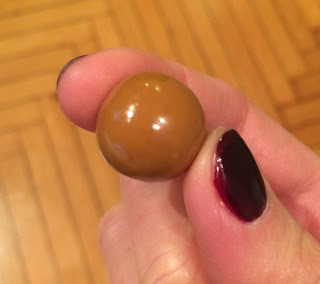 They had so many different shapes and sizes of it along with sour and not sour (regular?) versions. Some licorice came in a long rope form like the stuff I found in Jerusalem, some were skinny and short like the ones I found in Italy, and all of them came in a sour or regular version. There was a lot of licorice sampling to be done...I was really happy in Spain. However, after careful consideration, I finally landed on the best combination: short, medium-thick, and regular. 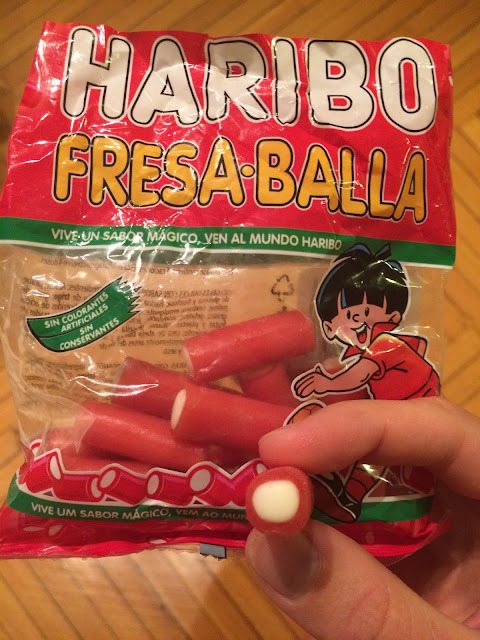 Haribo Fresa-balla! Man, these people really know gummy candy. 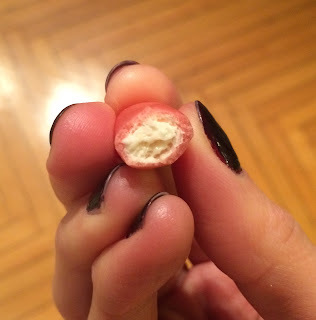 These licorice bites are soft and chewy right out of the bag with a nice strawberry flavor and vanilla cream center. The perfect ratio of strawberry to cream. I can safely say that during our 6 day trip in Spain I ate 6 bags of these things. And that was AFTER going through the initial process of elimination in Barcelona taste testing all of the other shapes/sizes. But, like most things in life, it took hard work and dedication to find the winning combination. 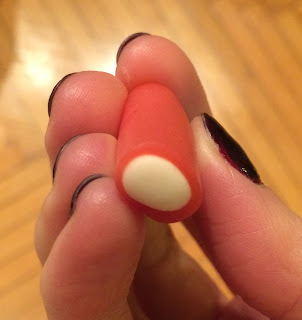 Sidebar: some dude we met on the beach one day noticed that I had a bag of these and launched into how terrible a company Haribo is and how there are like horse hooves or something in their gummy candies and blah, blah, blah. He went from being interesting to a real downer. It was like ok buddy, I noticed that you're wearing a speedo but I'm not going to point it out and make you feel bad about it. For the record, I buy and eat organic when I can, I don't smoke, don't drink much, have 1-2 cups of coffee a day, work out regularly and pretty much lead a healthy lifestyle. So if I want to follow the 80/20 rule and spend that 20% eating horse hooves and sugar then please, just let me do that. That's my rant on letting other people make you feel bad for how you choose to spend your 20%. Don't worry, just follow the 80/20 rule and you'll be fine. A: Do you want me to get more of that candy you liked in Spain? A: Ok how many bags? Me: No, two. Plus a pica. 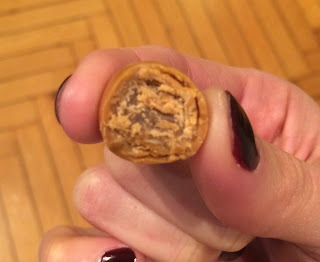 "Pica" is what we started calling the sour variety of these candies. Neither of us knew at the time what pica actually meant but inferred that it was sour. Plus it was fun to say. In the end, we decided that the regular version is still the best but pica is a fun way to mix it up. So that's my pick in Spain. If you go there, def pick up a bag of these but make sure you get the regular, medium-thick version unless you want to go ahead and sample all of the different shapes and sizes for yourself (which is actually pretty fun). These are sold in just about every corner store in Barcelona and Ibiza so they're really easy to find. In fact, if you're going, can you grab me a bag? Happy Friday! Have you recovered from Halloween yet? I'm slowly accepting the fact that winter is coming and trying to enjoy NYC and the fall leaves as much as possible. The bitter, soul-crushing, cold and wind are coming so you've gotta get out now and enjoy the weekends while you still can. 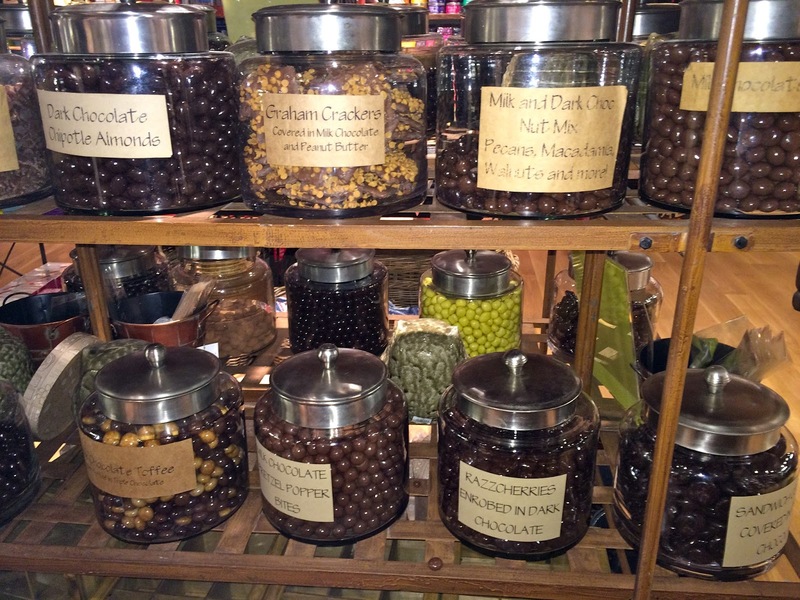 In an effort to get the most out of every last fall weekend, I've been touring around the city and buying candy from all my favorite spots. I haven't really covered much in NYC yet and there is a lot to cover. 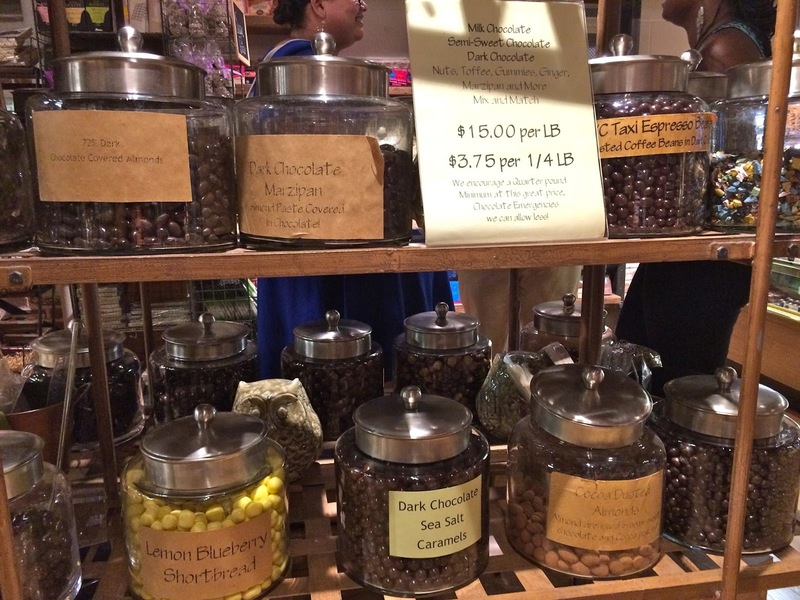 This posts starts with one of my favorite hidden gems in New York City, inside Chelsea Market. 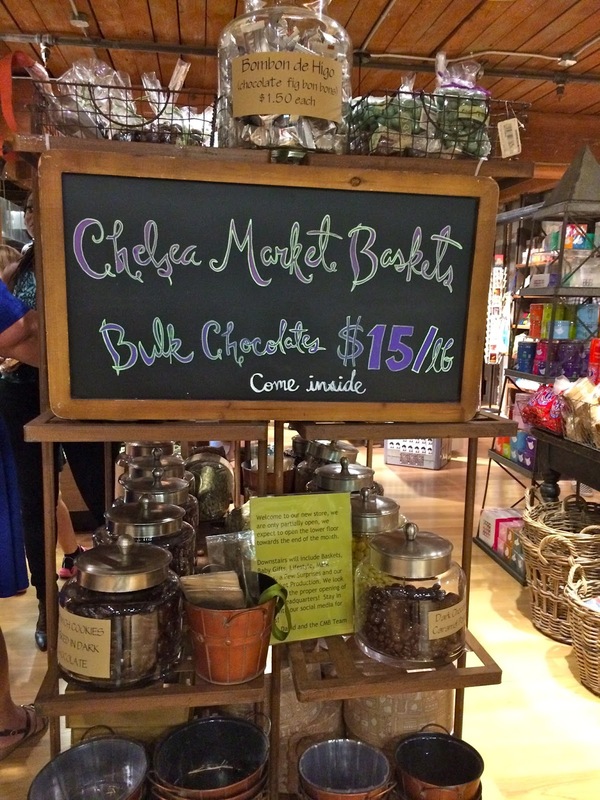 If you're in NYC or planning a visit then you have to walk through Chelsea Market. 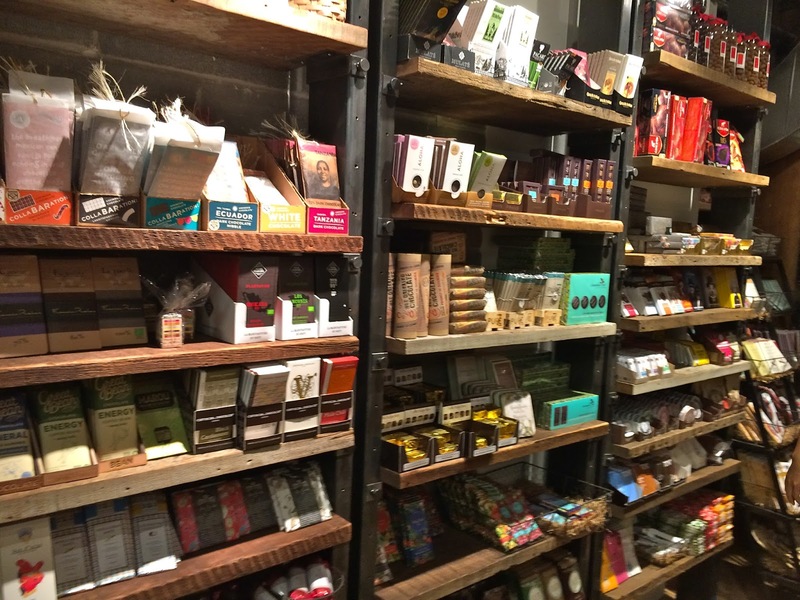 It's a long hallway of specialty food stores, restaurants, wine bars, a grocery store, and coffee shops. 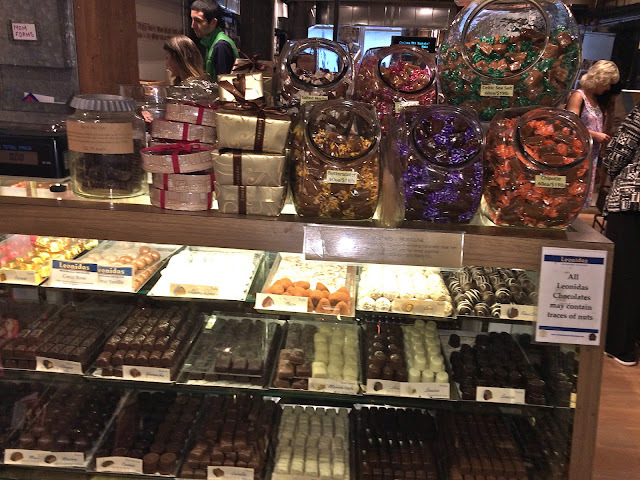 It's a foodie's paradise. It's also home to Food Network where I heard that they shop for groceries downstairs and then shoot some of their shows in the studios upstairs. Even though Chelsea Market is one of my favorite places to wander around, it's still horrifically crowded with tourists. Especially on the weekends. Going in, you kind of have to accept the fact that you're going to be walking in this massive zombie-crawl throughout the market. Or you can pretend that you're in a parade like I sometimes do, to keep from going crazy and stampeding everyone. It's best to just keep your calm...smile and wave. AND seasonally, they get one of my all time favorites: pumpkin spice caramels! These taste just like pumpkin flavored caramel, no weird fake taste at all. They are exactly as the name suggests. If you like pumpkin flavored things you should definitely buy them. They're also sold by Marich online. Moving on to the chocolate wall. (I really hope I get to say those words again some time). Chelsea Market Baskets has an entire wall of artisan chocolate bars. 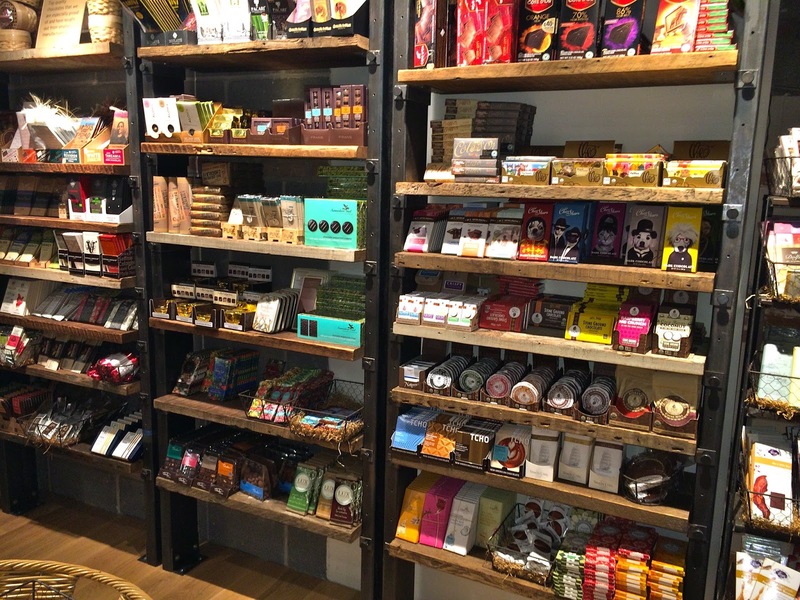 They're the fancier, bean-to-bar chocolate bars and make really nice gifts for chocolate lovers...or yourself on a random Saturday. A lot of the more well-known chocolate brands are represented here and if you're anything like me you'll stand facing this wall for an hour several minutes trying to decide which new bar to buy. Finally, if truffles are more your thing then you're in luck as they have a nice case of truffles too. I don't tend to buy truffles often because I eat them all as soon as I get home (just me? I keep wanting to try all of the different flavors I bought and then next thing I know they're gone and I'm out like, 20 bucks in 2 minutes). Anyway, the few truffles I've had from the case are all great quality. If you have the willpower and can play the long game, then go for it. So that's it. The first of many more NYC posts to come. If you find yourself in New York then you must take a (slow) stroll through Chelsea Market and stop into Chelsea Market Baskets for some fine chocolate. Let me know your favorite fancy chocolate bar in the comments below or tag me on Instagram @thecandyquestblog. Happy questing!